An official with the company that made the fan blade that broke causing an engine failure on a fatal Southwest flight says the broken blade had made about 32,000 flights. A spokeswoman for CFM International said Wednesday the company cannot comment on an open investigation, but added the company “responded aggressively” to complete blade inspections after the flight. Mark Habedank with CFM International said an examination of the broken blade showed it was likely beginning to suffer cracks from metal fatigue when it was last inspected in 2012, but the cracks were smaller than the inspection test with fluorescent dye used at the time could detect. Passengers who pulled a woman back into a plane window on a Southwest fatal flight in April describe quick actions to try to help flight attendants. The accounts were included in new documents released Wednesday before a national safety hearing into the plane’s engine failure that left one passenger dead and eight others with minor injuries. The passengers describe seeing the woman still buckled by a lap belt with her head, torso and arm hanging out of the broken window. One passenger, an EMT, and another male passenger sitting in the row ahead of the woman say they reached out of the window to pull the woman into the plane. The EMT and another passenger, a former school nurse, began CPR until the plane landed and emergency personnel took over. 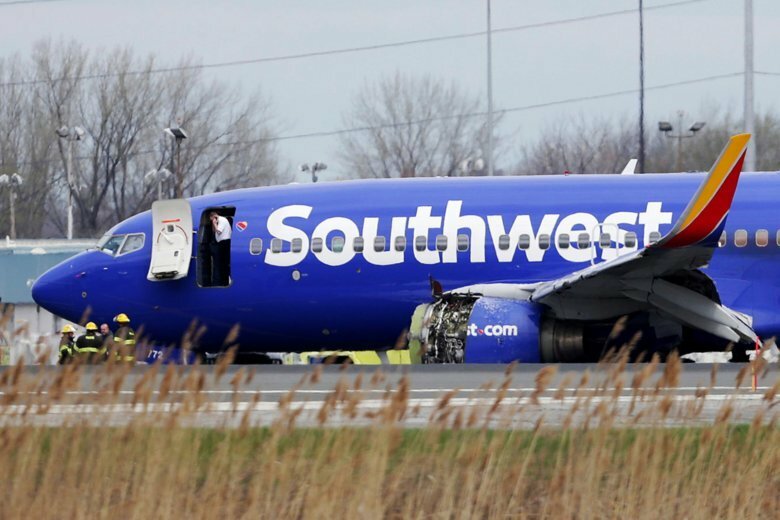 Federal safety officials plan to question representatives from engine maker CFM International and Boeing about the fatal accident on a Southwest Airlines jet this year. The National Transportation Safety Board hearing Wednesday in Washington, D.C., is expected to last several hours. The board is still investigating the April 17 accident, in which an engine fan blade broke and debris hit the plane, killing a woman who was blown partly out a broken window. Pilots landed the crippled plane safely in Philadelphia. Investigators are focusing on the design and inspection of engine fan blades. After the accident, CFM recommended more advanced and frequent blade inspections, and regulators made those changes mandatory. They will also look into the design of the engine housing, which is supposed to prevent pieces from breaking loose.